Our firm (Randi Frank Consulting, LLC) has been hired by New Milford, Connecticut to assist them with the recruitment of the Wastewater Treatment Plant Superintendent. The position is open till filled. If you are interested in this position and want to be considered for this great opportunity, please mail or email your resume and cover letter by Oct. 30th, 2018 to Ms. Randi Frank. New Milford – All the benefits of a vintage New England lifestyle that few Connecticut towns can still offer. 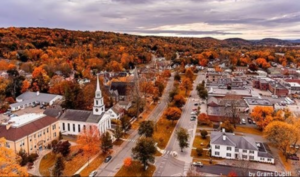 As the largest town in the state, (64 square miles), New Milford offers a broad range of housing options, recreational activities and business locations while retaining working farms and plentiful open space. Close to commercial centers such as Danbury, Stamford, Hartford, White Plains and New York City. New Milford has successfully retained the small-town charm that’s missing from most modern suburbs. Superintendent reports to Sewer Commission and Mayor—Plans and supervises the operation and maintenance of a Grade IV Wastewater Treatment Plan including supervising all operators and office staff. Qualifications: Graduation from High School or GED certificate with additional specialized training in wastewater treatment operations or a directly related field including 4 years of increasingly responsible experience in wastewater treatment plant operations including 3 years of supervisory or lead responsibility. Must possess a valid CT Grade IV Wastewater Treatment Plant Operator Certificate or equivalent from another State. Valid Driver’s License (obtain a Class IV Wastewater Collection System Operator’s License within 3 years). Associates Degree or Bachelor’s in appropriate field may substitute for experience and assist with certification. All out of state candidates must get initial approval from CT DEEP that they meet the requirements for a reciprocal Grade IV WWTP certification. The starting salary for this position is negotiable depending on qualifications & experience – (Salary Range-$ 100,000 -$120,000) plus excellent benefits. EEO/AA. See attached document for more details about New Milford, Connecticut and the role of the Wastewater Treatment Plant Superintendent.